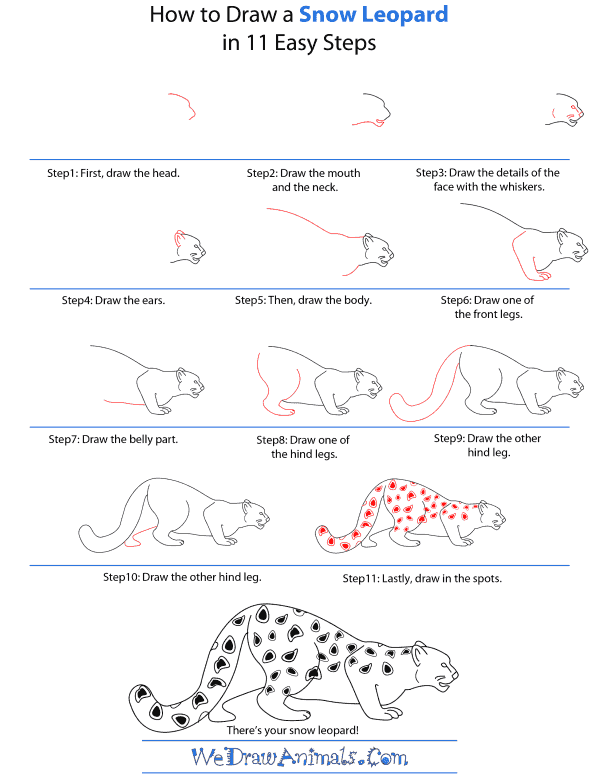 In this quick tutorial you'll learn how to draw a Snow Leopard in 11 easy steps - great for kids and novice artists. 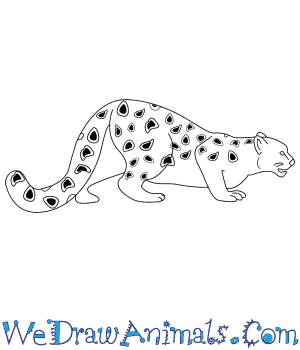 At the bottom you can read some interesting facts about the Snow Leopard. 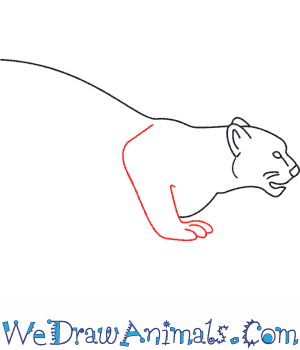 Step 1: Draw a snow leopard! At the top of the head, trace a sloped line for the forehead and another pointed line for the nose. 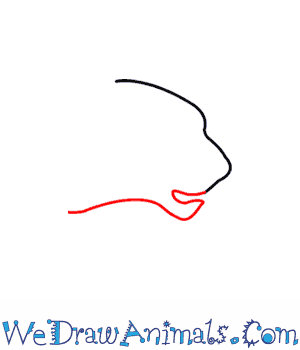 Step 2: Then trace a small smile, continuing along to draw the neck. 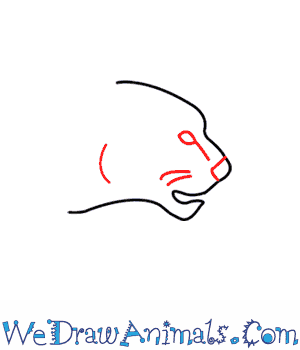 Step 3: For the face, draw a small circle and a letter q, just above, for the eye and the nose. Add some whiskers! 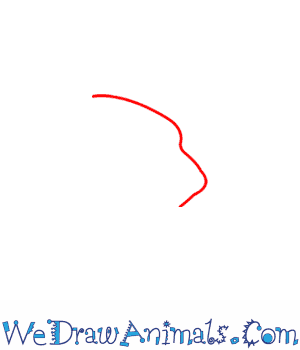 Step 4: At the top of the head, draw triangles without the bottom line for ears. Step 5: For the body, draw a line along the back, tracing it up, like you're going up a small hill. 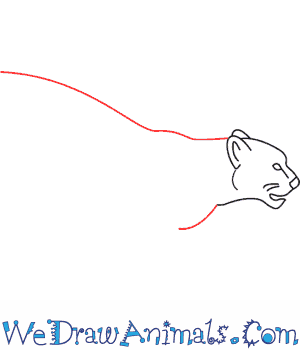 Add a rounded line at the neck, for the chest. 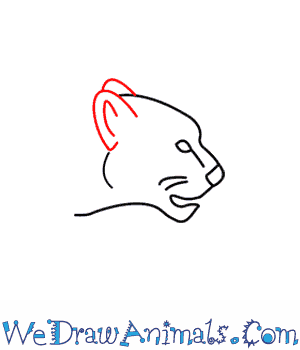 Step 6: Draw the front leg by tracing an upside down letter L and finishing it off with the paw. 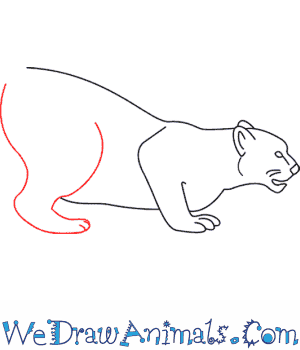 Step 7: From there, trace a line across the body for the belly. Step 8: Draw a rounded shape toward the back of the body to create a thick leg. Make it skinnier as you go until you get to the paw. 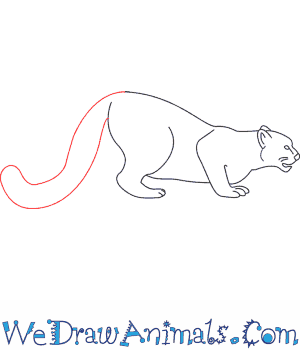 Step 9: Draw the tail by tracing an upside-down question mark! 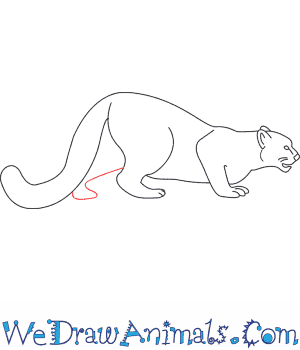 Step 10: To draw the other hind leg, trace the letter L, looping your line back around for the foot. 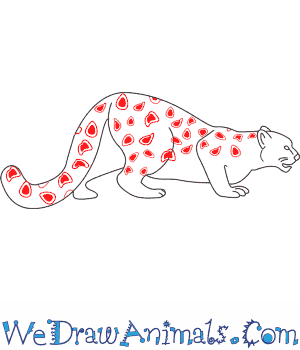 Step 11: Have fun drawing any kinds of shapes for your spots, drawing on the back and tail. There's your snow leopard! Snow leopards are members of the cat family. Snow leopards have thick gray fur and black spots. They come from rocky mountainous areas of Asia, specifically Tibet, Nepal, Russia, Pakistan, Mongolia, India, and Siberia. Snow leopards weigh between 60 and 120 pounds. Females are smaller in size than males. The snow leopards’ paws are wide and covered in fur, and they help them walk easily through the snow. Snow leopards sometimes prey on animals that are three times their weight. Snow leopards are not related to leopards, but they are closely related to cheetahs. During the winter, snow leopards prefer to live up in the mountains. In the summertime, they like to stay in rocky areas closer to the ground. The lifespan of snow leopards is 15 to 18 years. Snow leopards are an endangered species. There are only about 6,000 thousand left in the world. Hunting is one of the reasons for their decline in population, even though it is illegal to sell and trade snow leopard fur. There are laws that are meant to stop snow leopards from being hunted. Some snow leopards are protected in national parks, zoos, and animal centers.